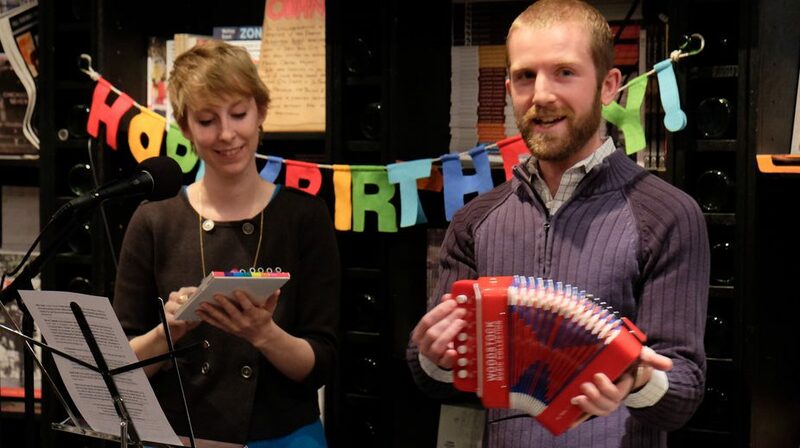 Join us at The Book Cellar Monday, January 20th at 7pm for our first show of the new year. Nestle in the warm bosom of Essay Fiesta for a night of awesome stories in support of 826CHI. Go ahead and nuzzle up to any of our talented readers. They won’t mind. Tania Richard is a writer and actress who has worked on Broadway, with The Second City, Steppenwolf Theatre and a bunch of other places. She does film and TV, too. She is a Resident Playwright at Chicago Dramatists and her plays have won fancy awards. She has contributed to This Much Is True, That’s All She Wrote, and The Story on NPR. 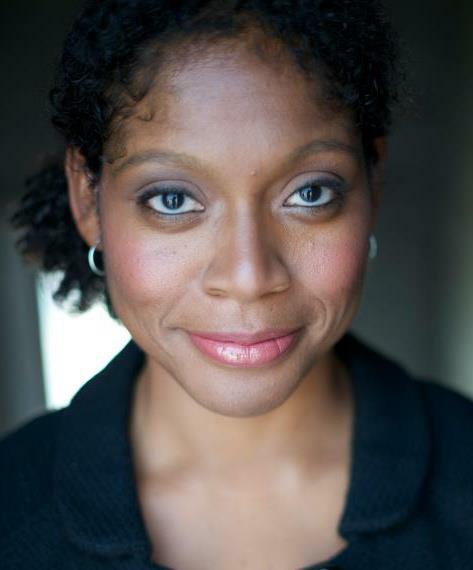 Her solo show Truth Be Told debuted at the Fleetwood Jourdain Theatre and she is published by Heinemann. Her blog is called Writing My Mind. She likes the storytelling community. Everybody is nice. Jeff Miller is a writer, performer, tall guy, and expert-level jaywalker from Kent, Ohio. His first middle-grade fiction novel, The Nerdy Dozen, is due out in June with HarperCollins Children’s Books. You can pre-order it on Amazon, just not on The Amazon – as that is a rainforest and the pages would get all wet. Ellen Blum Barish is author of Views from the Home Office Window: On Motherhood, Family and Life and her personal essays have appeared in The Chicago Tribune and have aired on WBEZ. She was a storyteller at Story Sessions last July. Ellen teaches writing at Northwestern University, where she earned her masters degree in magazine journalism, as well as StoryStudio Chicago and New Trier Extension, and she works privately with writers on personal essays and memoirs. 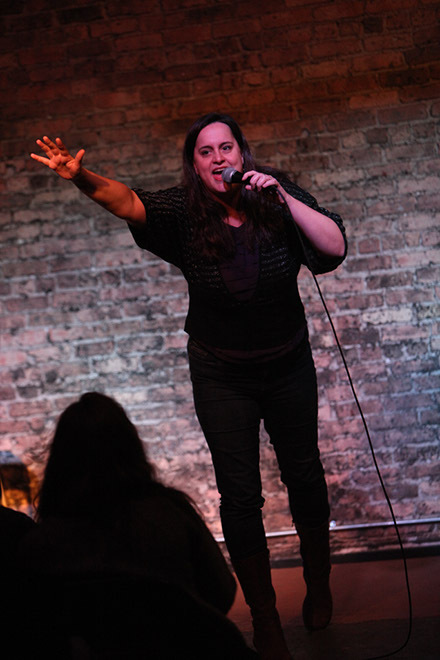 Amy Sumpter is a comedic actress who performs all over town including The Book Cellar with The Kates. You can find out where she will be next at www.amysumpter.com. Amy is also in an all-female Beastie Boy Tribute band called She’s Crafty. They have a show this Friday the 24th at the Hard Rock Cafe at 9pm. Troy Nee was born and raised in Rochester, NY and attended Northwestern University, where he graduated in 2008 with a degree in English Writing. Since graduating, he has been a proverbial jack-of-all-trades and worked as an intern for Poetry magazine, a tutor at Senn High School, a carpenter for an industrial construction company, and an editor for Goodheart-Willcox, a textbook company. Currently he is an 11th grade English teacher at Perspectives High School of Technology on 81st and May St. Although his concentration at Northwestern was poetry, he’s excited to try his hand at creative non-fiction and read at Essay Fiesta. « Warm Up with Essay Fiesta on January 20!